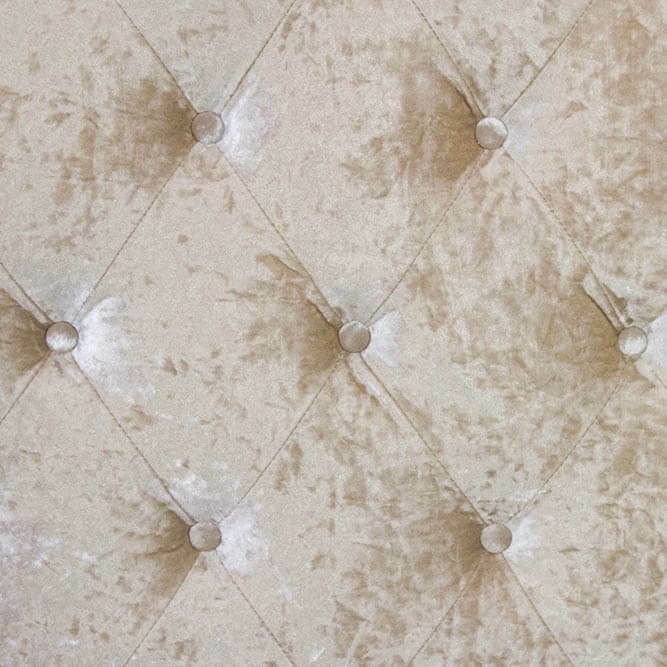 This Buttoned Headboard is upholstered in a luxurious beige crushed velvet fabric with a striking upholstered finish and stunning deep buttoned detailing. 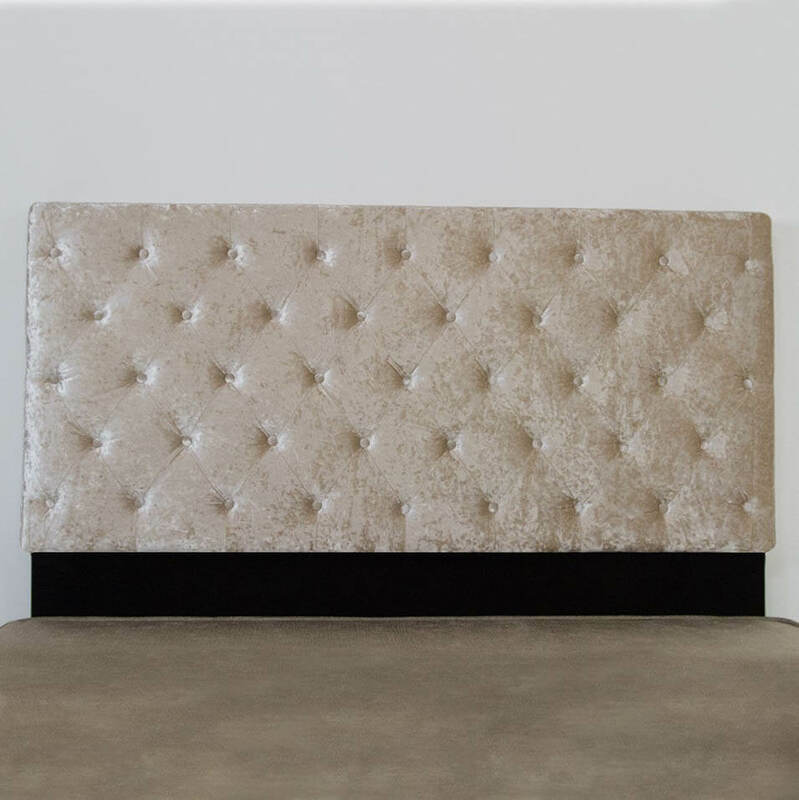 This headboard will complement any divan base you choose to pair it with. Full height floor standing design. 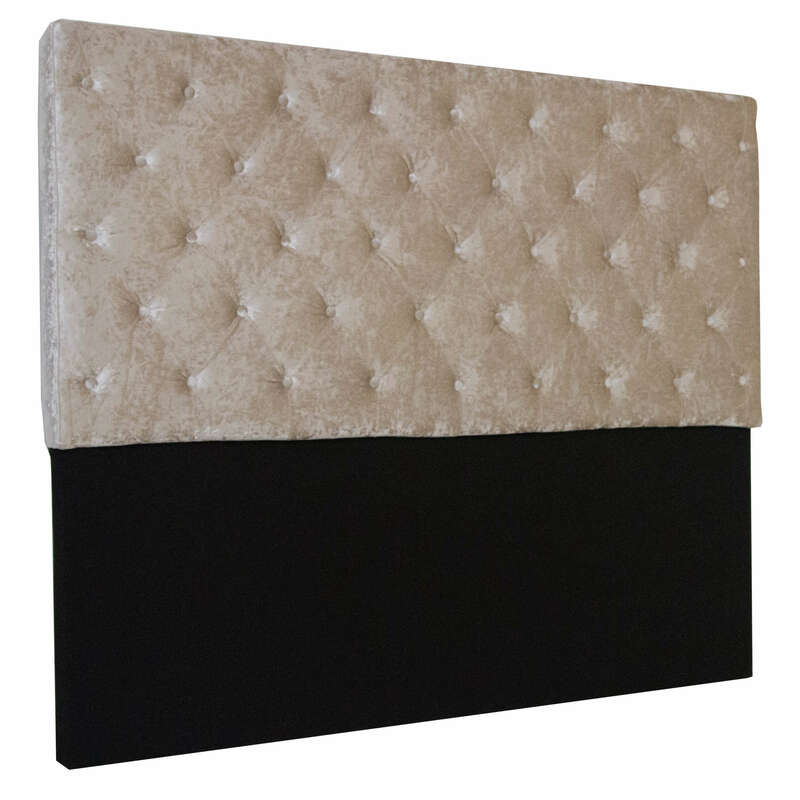 Will fit any standard UK size divan bed. Divan base & mattress in not included in the price.